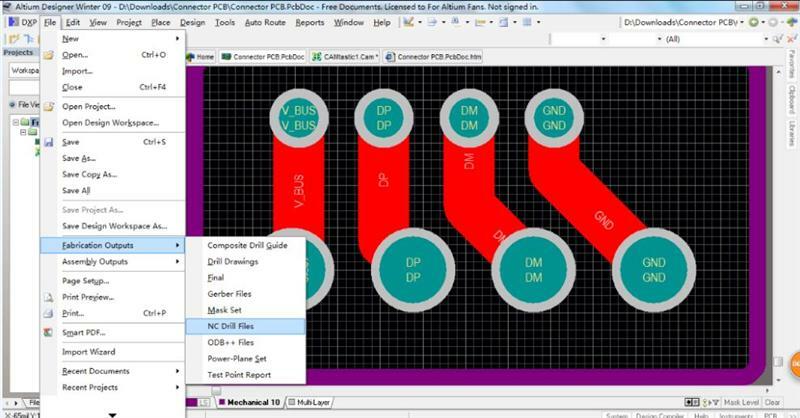 Altium Designer is a PCB and electronic design automation software package for printed circuit boards, this is widely used and very popular for designers. While if we need to fabricate PCBs out , the manufacturers may need Gerber files for further check. 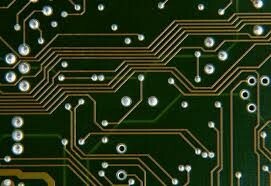 Gerber is a standard electronics industry file format used to communicate design information to manufacturing for many types of printed circuit boards. Here we comes the topic of our essay, how to generate AD files into Gerber files. The AD version we use today is Altium 09 Full Lite, the file we uses is named as Connector PCB.PcbDoc. For easier performance, we put the file into an individual folder. First we open the file directly via AD software, on the top side of the AD software, there are many different options for variable use, we need to find the option file- open, then we can review the files successfully on the software. Regarding exporting the files, we can export Gerber files, then NC drill files. For Gerber files, below is the explicate steps. 1. We need to make sure the keyboards is in CAPSLOCK status. 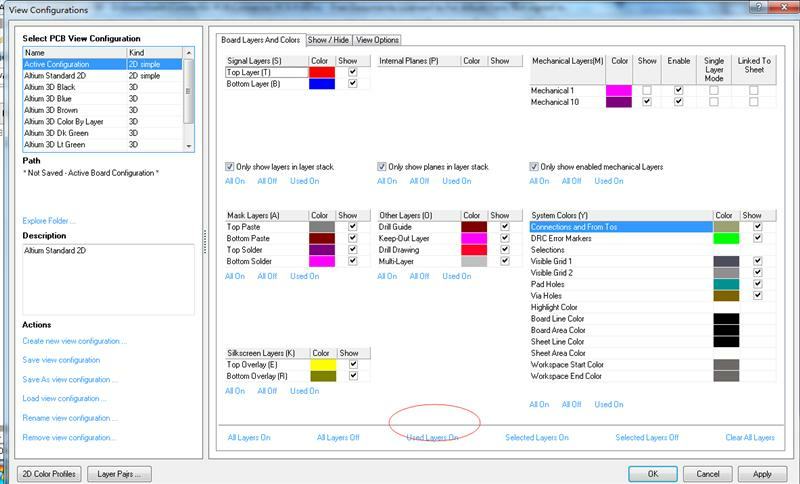 Press the letter “L” , the relative configuration viewer comes up. Let’s select “Used layer on”, and click ”ok”, therefore all the useful files on design could be exported and generated successfully. Below is the screenshot for reference. Image speaks louder than words! 2. Once all the layers are selected, please go into the “file”—“fabrication outputs”—Gerber files. For Gerber setup options, please choose required ones in different ones. Then click the ok option, we can review the general Geber files on the software. For NC drill files, below is the explicate steps. 2. Pls make sure the format is correct , same as Gerber files. We need units in Inches, and format in 2:5, then click the “Ok ”button. 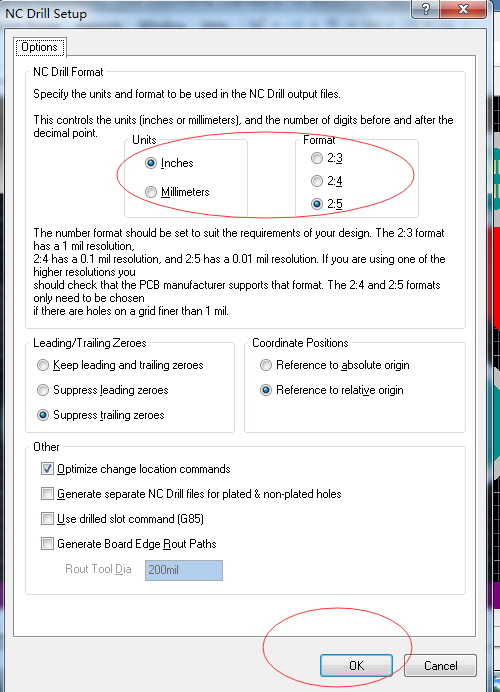 Once the Gerber files and the NC drill files are exported successfully, we can find the Gerber files directly under the original folder where the .pcbdoc file is located .See the below screenshot. 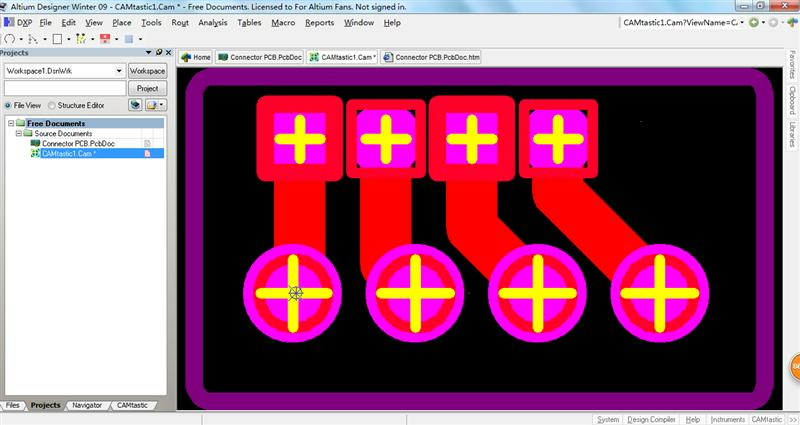 For engineers and hobbyists, those Gerber files can be forwarded directly to the PCB manufacturer for PCB fabrication. Hopefully the explicit explanation and steps above is clear enough to clear confusions, and if still, it seems difficult and time-consuming to export Gerber files from AD, you can also upload original AD files to allpcb.com, to your dedicate customer service, the original AD files is accepted!